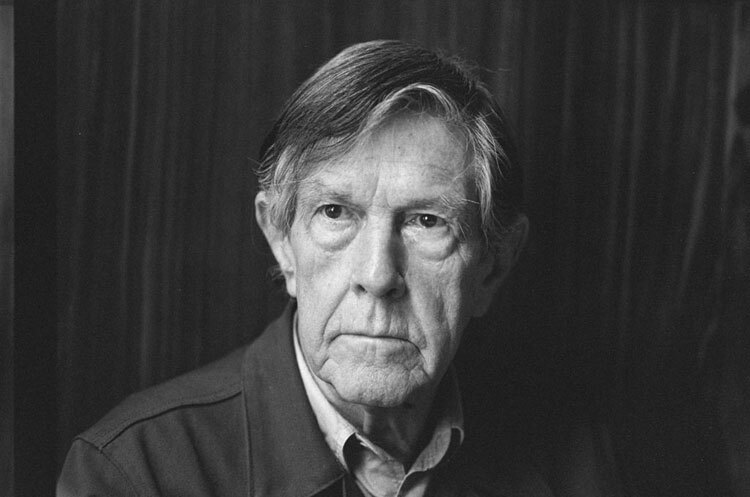 WHEREAS THE PHILOSOPHER, Henry David Thoreau, sought silence in the vicinity of Walden Pond, his long-term admirer John Milton Cage, American composer, writer, philosopher and visual artist (5th September 1912–12th August 1992) found a similar stillness, paradoxically, in the very heart of his own music. One of the leading exponents of the post-war avant-garde, Cage championed a style of music known as indeterminacy or aleatoric music whereby certain compositional elements—duration, tempo and other musical dynamics—were selected by chance events, which for Cage meant consulting the I-Ching, an ancient Chinese divination text and his standard compositional tool for the later period of his musical career. ‘I never thought of not accepting it! That is precisely the first thing the I Ching teaches us: acceptance. It essentially advances this lesson: if we want to use chance operations, then we must accept the results. We have no right to use it if we are determined to criticize the results and to seek a better answer. Cage’s previous teachers had included Henry Cowell and Arnold Schoenberg, both of whom were pioneers in new and radical forms of musical composition; however, after an artistic crisis in his early thirties, it was his developing interest in Eastern philosophy that proved to be a turning point in both his private and professional life. Cage would soon embark upon his most important romantic relationship with the dancer and choreographer, Merce Cunningham, which endured to the very end of their lives. He also started to read the works of the Ceylonese sage, Ananda K Coomaraswamy, as well as attended D. T. Suzuki’s seminal lectures on Zen Buddhism, with their emphasis on the perennial philosophy of impermanence, transcendence and the power of the void, concepts which profoundly affected his entire outlook on art, music and life itself. Indeed, Suzuki’s classes energized Cage and his music, releasing him from the self-negation and criticism that had previously tormented him, enabling him now to embrace a wholly new way in which to live. ‘The value judgment when it is made doesn’t exist outside the mind but exists within the mind that makes it. When it says this is good and that is not good, it’s a decision to eliminate from experience certain things. Suzuki said Zen wants us to diminish that kind of activity of the ego and to increase the activity that accepts the rest of creation. In 1946, Cage also met the Indian musician and singer, Gita Sarabhai, who was instrumental in inspiring one of his greatest works, Sonatas and Interludes (1946–1948), a collection of twenty pieces for prepared piano (a piano with objects inserted between the strings to alter the sound), and to whom he dedicated the score. Consisting of sixteen sonatas and four interludes, the aim of the work is to express the eight emotions of the Indian rasa tradition, a rasa being the dominant emotional theme or feeling that is evoked in the viewer or listener, namely: rati (love); hasya (mirth); soka (sorrow); krodha (anger); utsaha (energy); bhaya (terror); jugupsa (disgust); and vismaya (astonishment). A ninth rasa was later added to the tradition called santam (tranquillity), a state that was highly endorsed by Gita Sarabhai who believed that the purpose of music was to quieten the mind, freeing it from the ego, and thus rendering it open to mystical experience. Gita Sarabhai came from India. She was concerned about the influence Western music was having on traditional Indian music, and she’d decided to study Western music for six months with several teachers and then return to India to do what she could to preserve the Indian traditions. She studied contemporary music and counterpoint with me. She said, ‘How much do you charge?’ I said, ‘It’ll be free if you’ll also teach me about Indian music.’ We were almost every day together. At the end of six months, just before she flew away, she gave me the Gospel of Sri Ramakrishna. It took me a year to finish it. This is a talk about something and naturally also a talk about nothing. About how something and nothing are not opposed to each other but need each other to keep on going … For instance, someone said, ‘Art should come from within; then it is profound.’ But it seems to me Art goes within, and I don’t see the need for ‘should’ or ‘then’ or ‘it’ or ‘profound’. But since everything’s changing, Art’s now going in and it is of the utmost importance not to make a thing but rather to make nothing. And how is this done? Done by making something which then goes in and reminds us of nothing. It is important that this something be just something, finitely something; then very simply it goes in and becomes infinitely nothing. Cage’s most revolutionary—some would even say notorious—piece is his composition, 4’33” (Four Minutes, Thirty-Three Seconds) (1952), the three movements of which are performed without a single note. The point of the piece was not to present a finite length of silence but rather that the audience would be forced to perceive the ambient sounds around them during the duration of the performance. At a more metaphysical level, it was an attempt to challenge preconceived ideas about art and music and even the very essence of silence itself. Given the iconoclastic nature of the work, there was, understandably, a certain amount of uproar. They missed the point. There’s no such thing as silence. What they thought was silence, because they didn’t know how to listen, was full of accidental sounds. You could hear the wind stirring outside during the first movement. During the second, raindrops began pattering the roof, and during the third the people themselves made all kinds of interesting sounds as they talked or walked out. Cage continued to develop his theories on silence and chance events throughout his voluminous body of work well into his eighties, influencing many contemporary musicians along the way—Toru Takemitsu, Philip Glass and Steve Reich to name but a few. 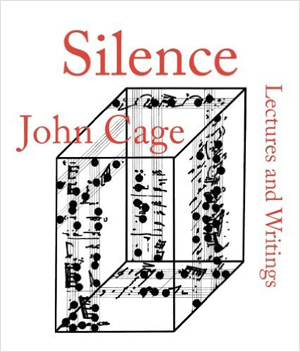 Indeed, it is almost impossible to overstate the artistic and cultural importance of Cage’s work and the legacy of his life, in particular the way in which he was able to meld together ambient sound with Eastern and Western musical composition, all held together by the sovereignty of silence. His artistic output became, therefore, the outward expression not only of his musical genius but also his inner being and the way in which he was in touch with life itself. What is the purpose of writing music? One is, of course, not dealing with purposes but dealing with sounds. Or the answer must take the form of a paradox: a purposeful purposelessness or a purposeless play. This play, however, is an affirmation of life—not an attempt to bring order out of chaos nor to suggest improvements in creation, but simply a way of waking up to the very life we’re living, which is so excellent once one gets one’s mind and one’s desires out of its way and lets it act of its own accord.